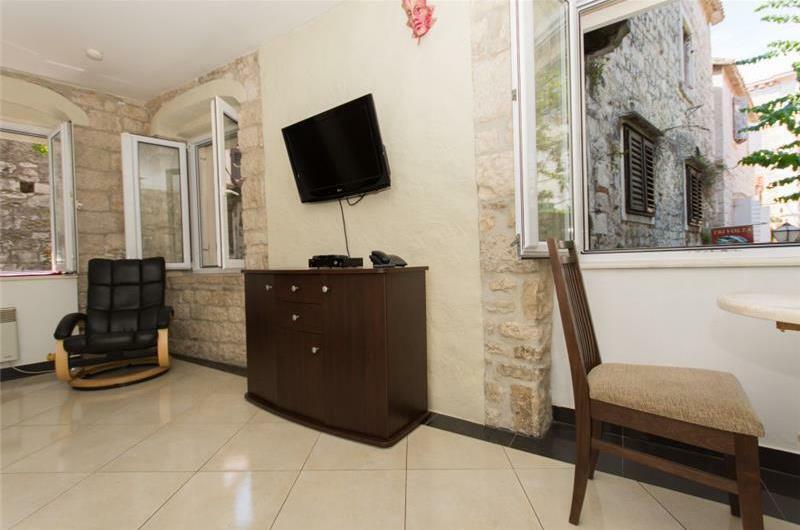 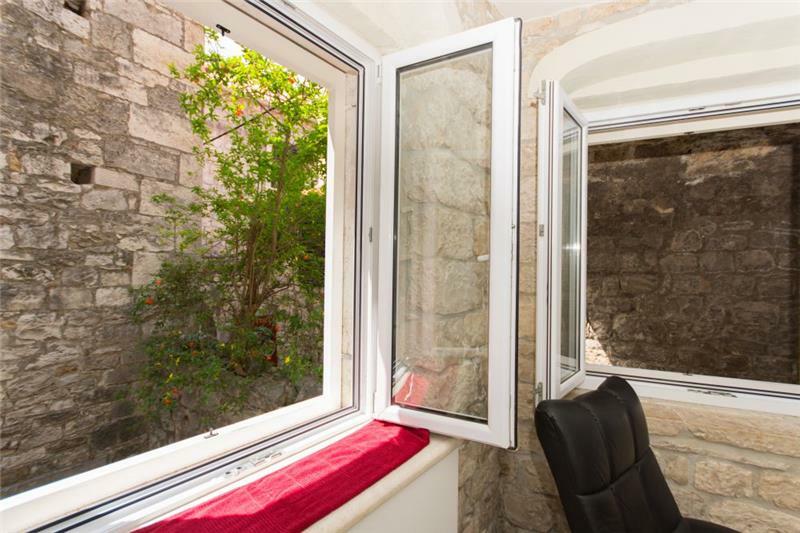 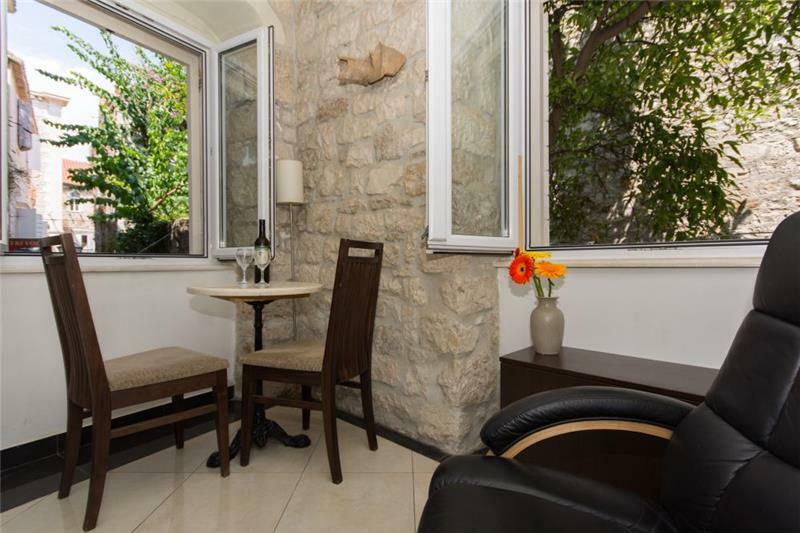 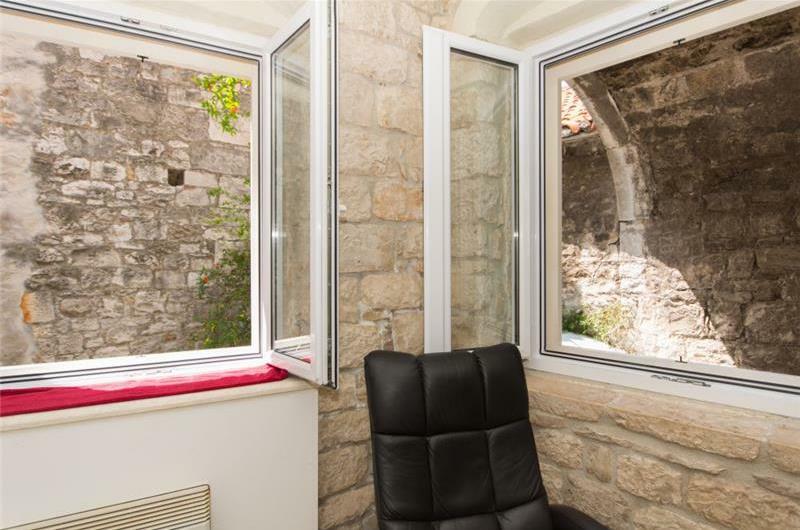 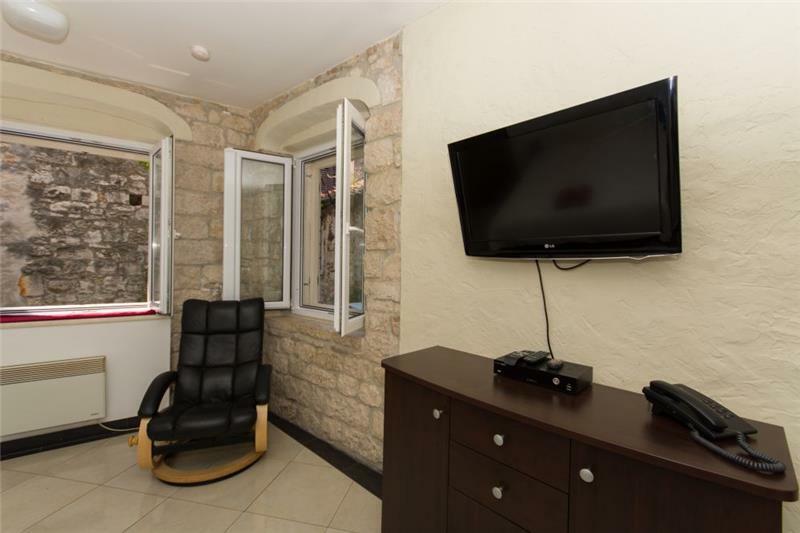 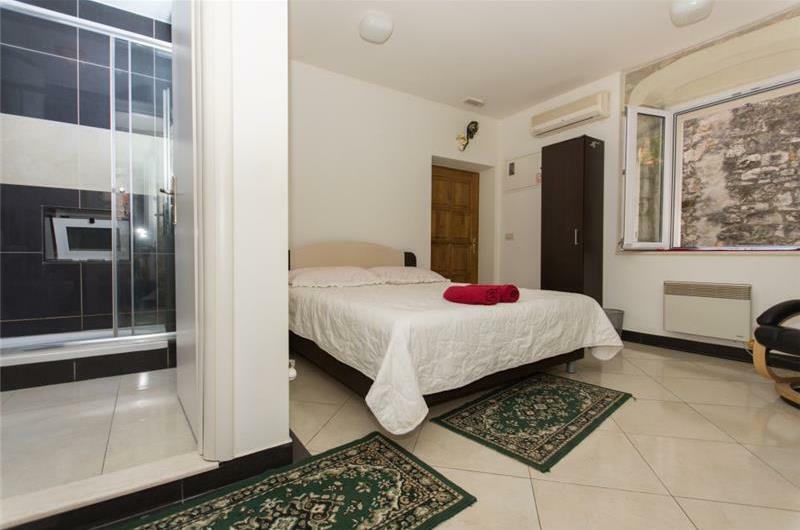 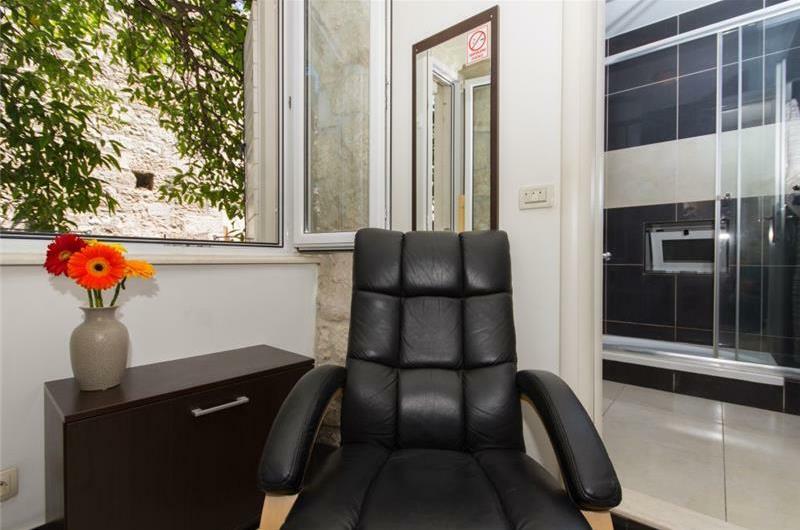 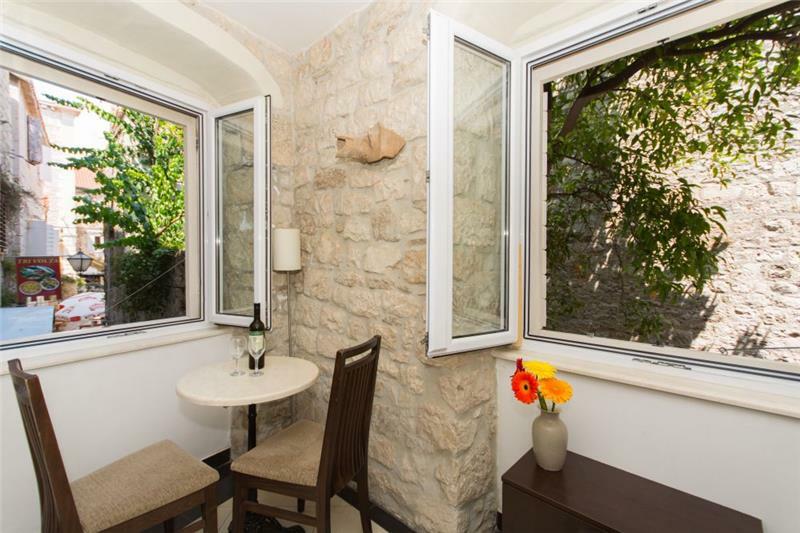 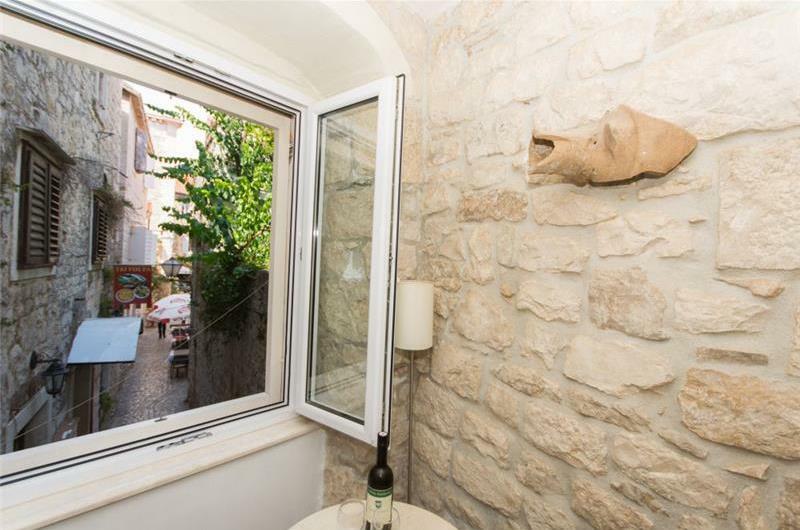 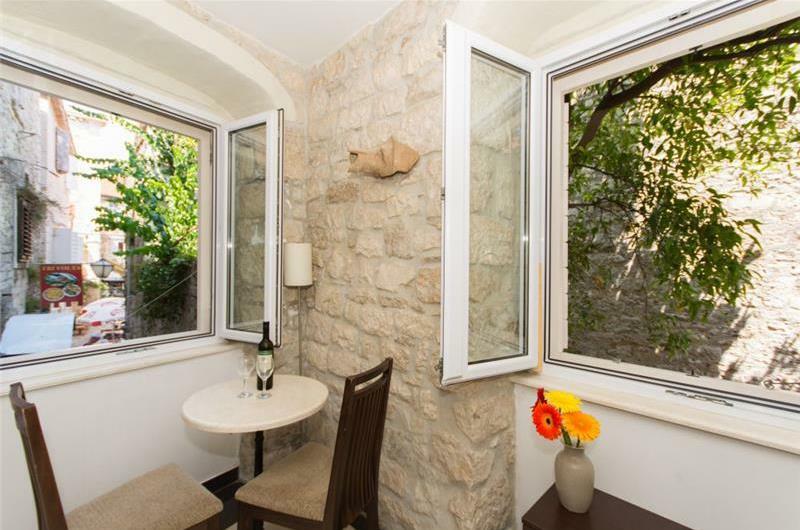 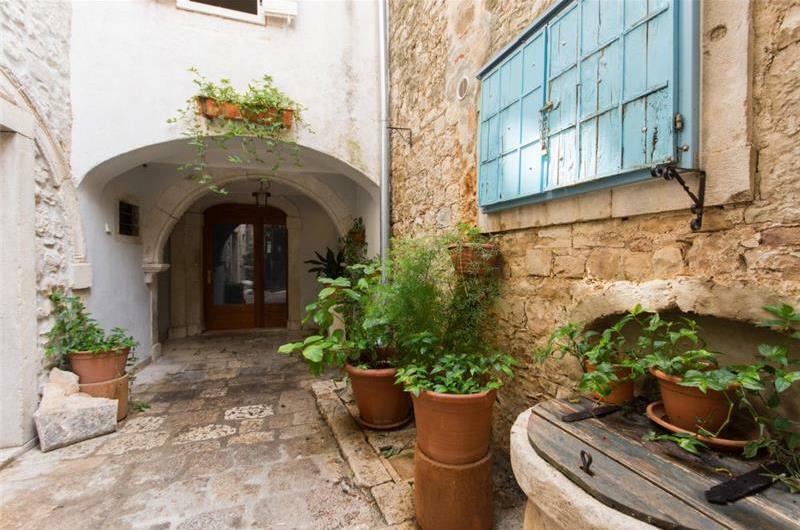 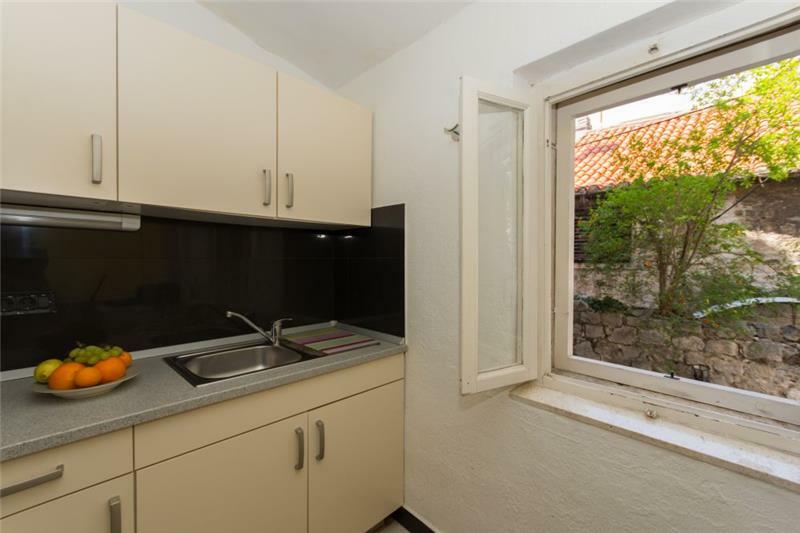 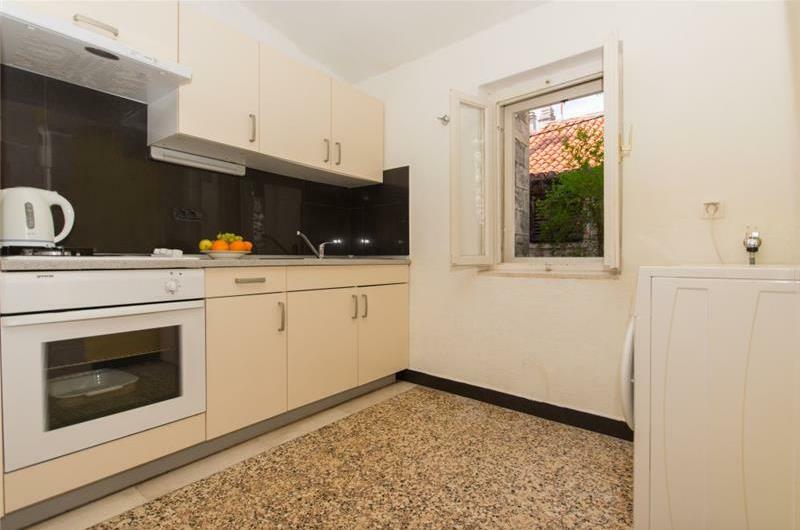 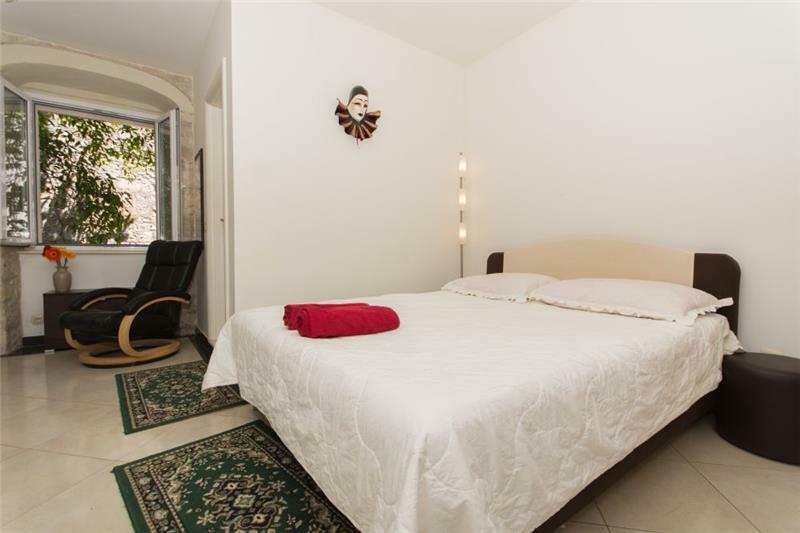 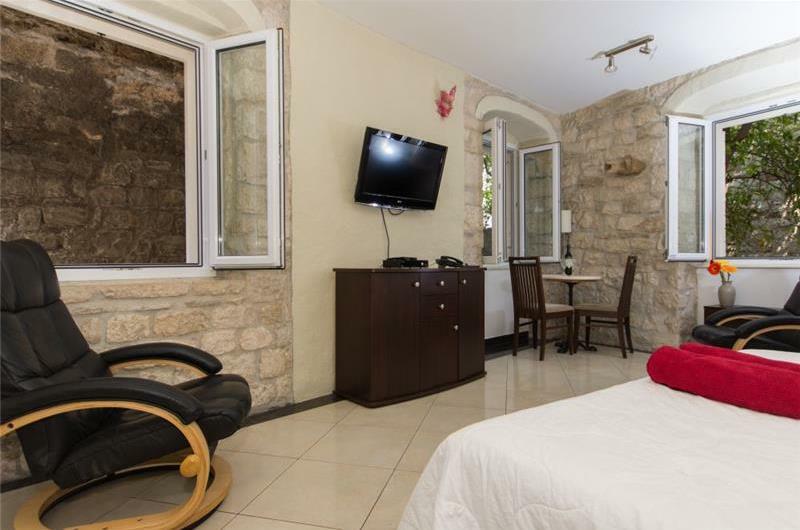 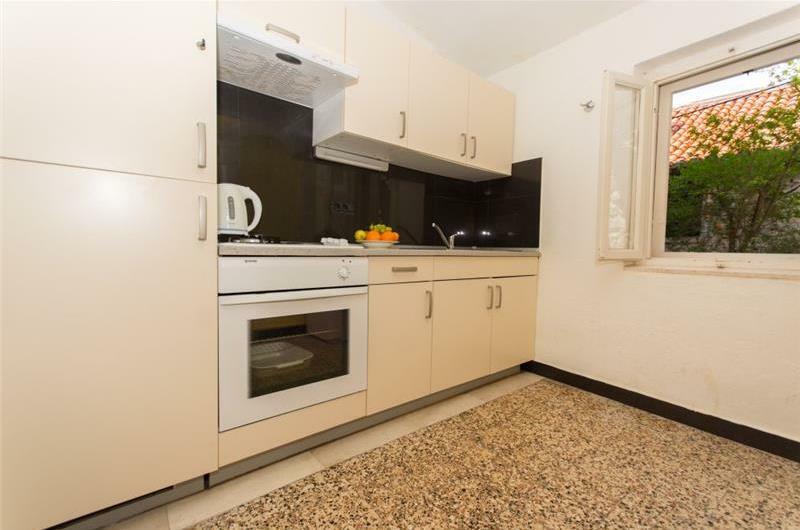 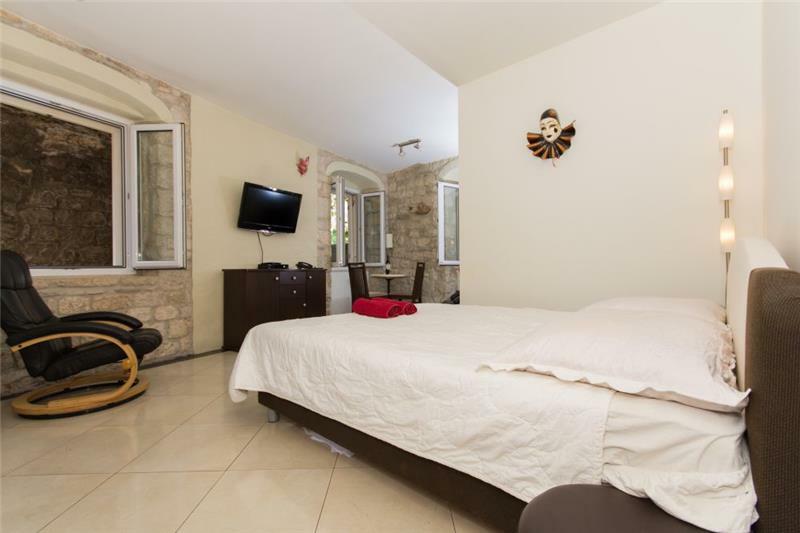 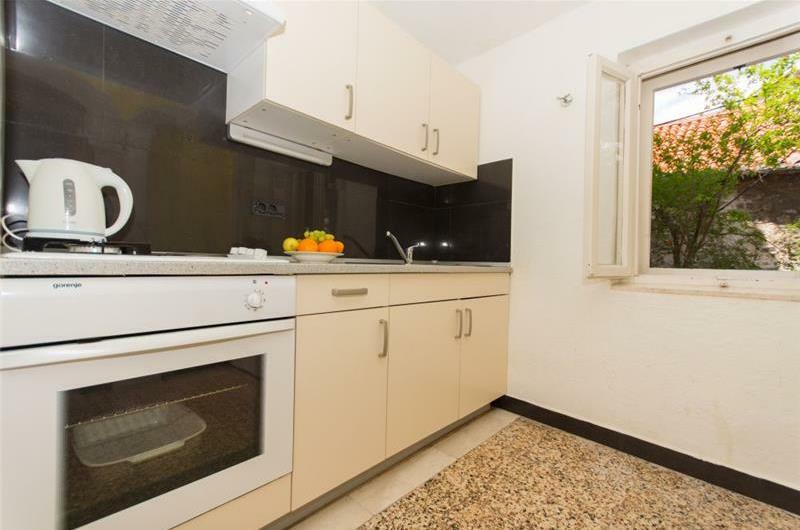 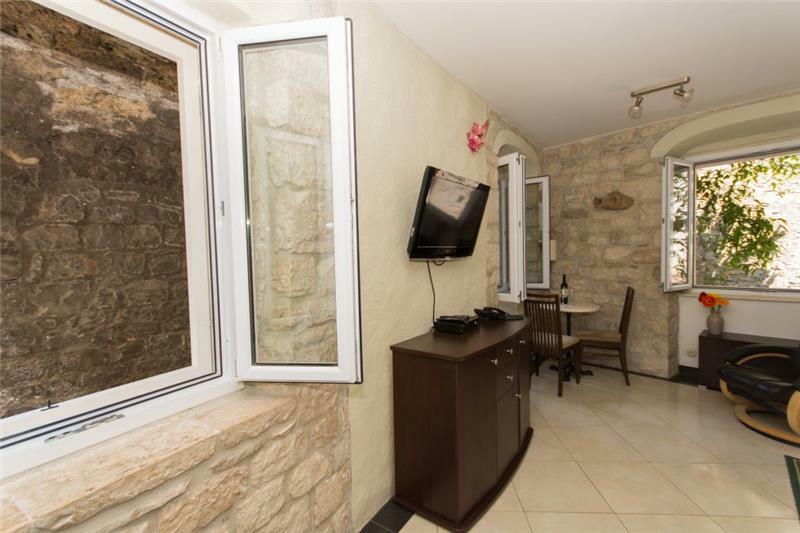 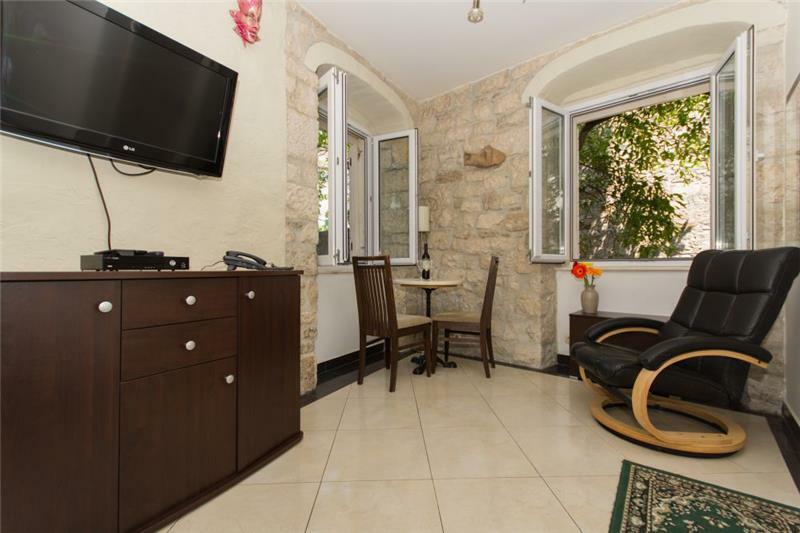 This modern 1 bedroom apartment is located in Trogir Old Town. 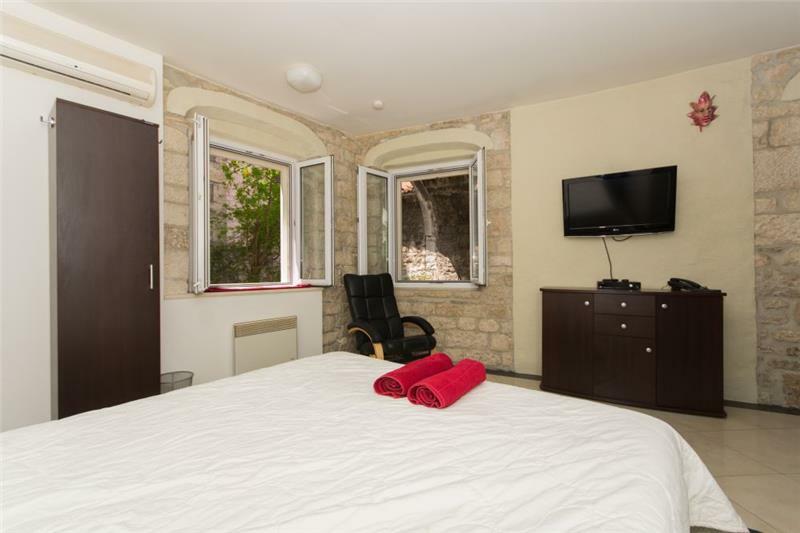 Sleeping 2, it is perfect for couples seeking a stylish and relaxing stay close to many amenities. 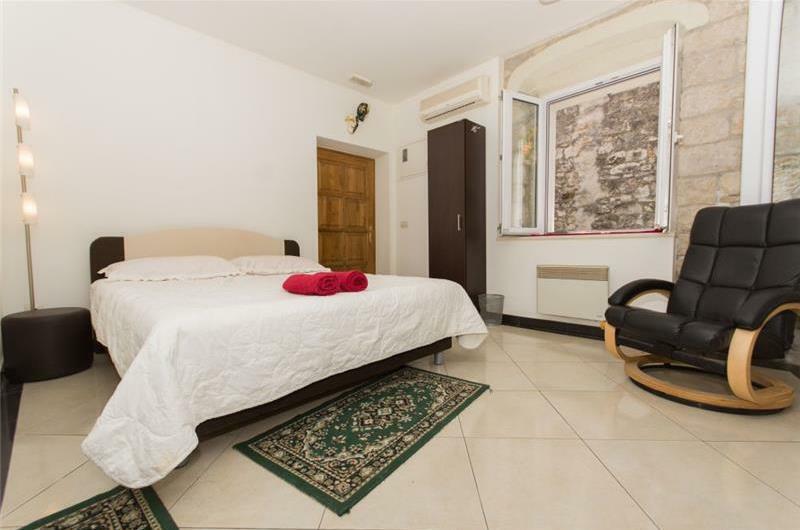 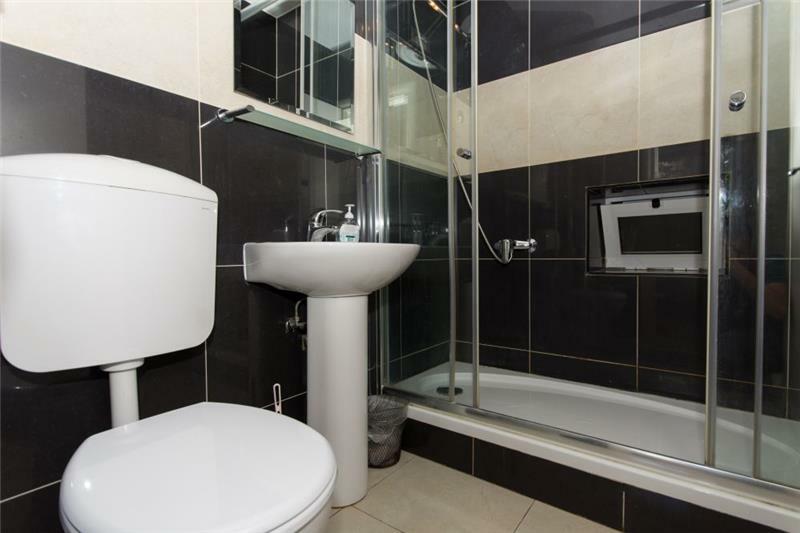 The apartment is on the first floor of the property and has a double bedroom featuring a breakfast table and an en-suite shower room, plus a kitchen. 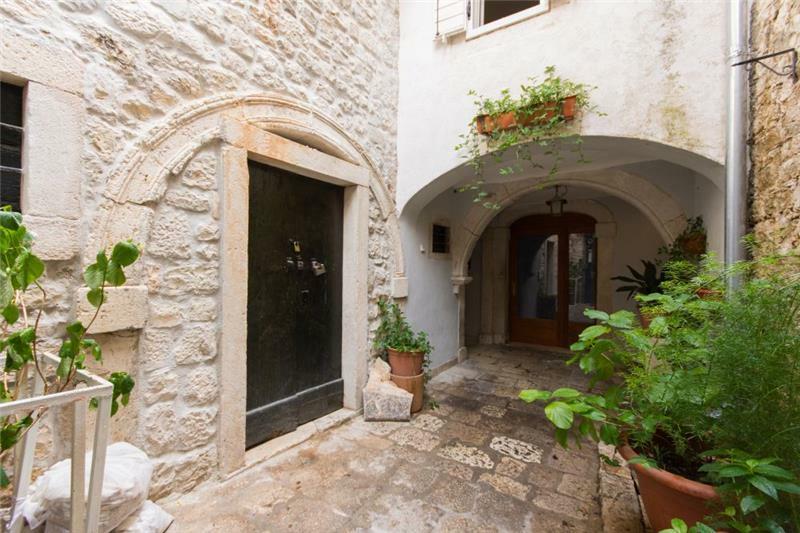 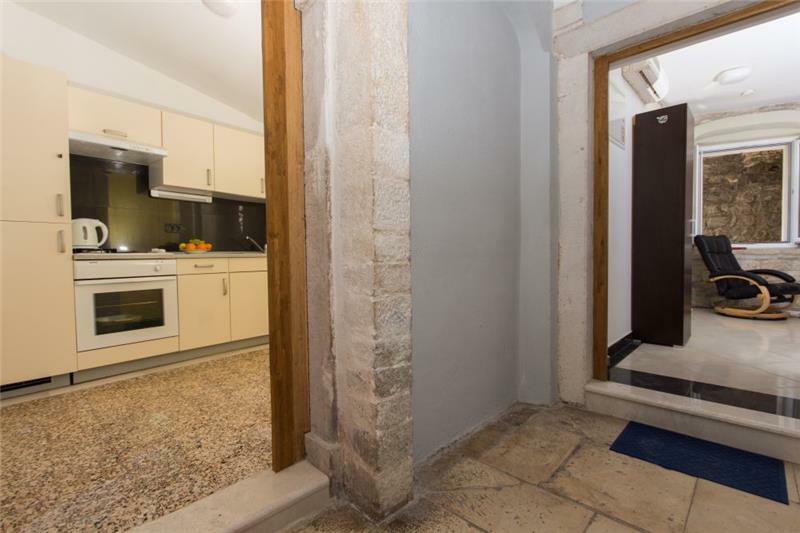 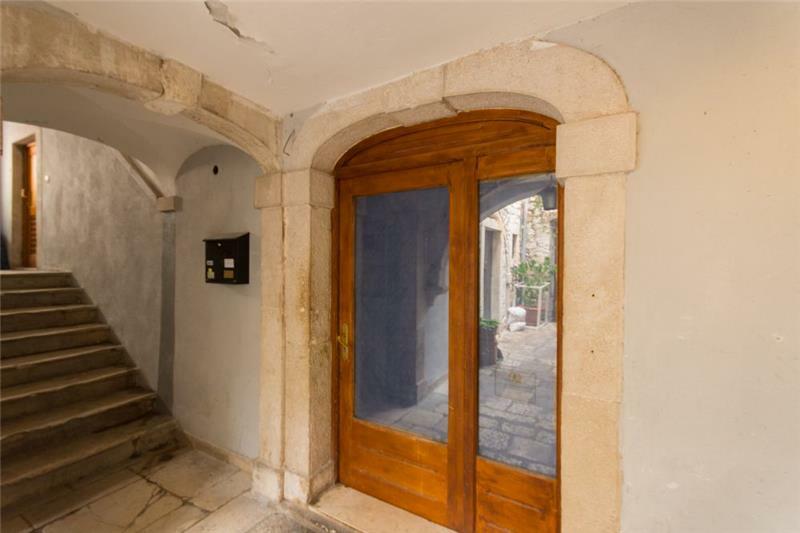 The apartment is in walking distance to the centre of Trogir Old Town with its winding walkways, harbourside shops, historic architecture and museums. There is also a lovely pebble beach where guests can relax, plus many cafes, restaurants and bars at which to try the Croatian cuisine and taste the local wine. 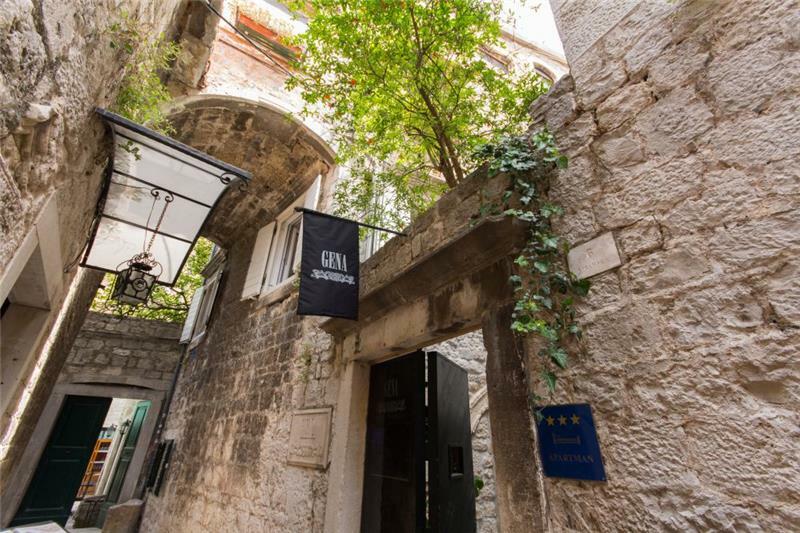 Whilst staying in Trogir, why not also make a trip to the stunning waterfalls at Krk National Park, or take a day trip to Split with its UNESCO palace?